First of War of the Spark finale cycle spoilers. The final battle on Ravnica is here with the newest expansion to Magic: The Gathering, War of the Spark. Set to release at the end of April, Nicol Bolas attacks Ravnica with a giant army while the hero’s attempt to bring him down for good. Packed with 36 planeswalkers and Eternal-Gods, War of the Spark will shake up MTG in all formats, especially with sorcery cards like Finale of Revelation. 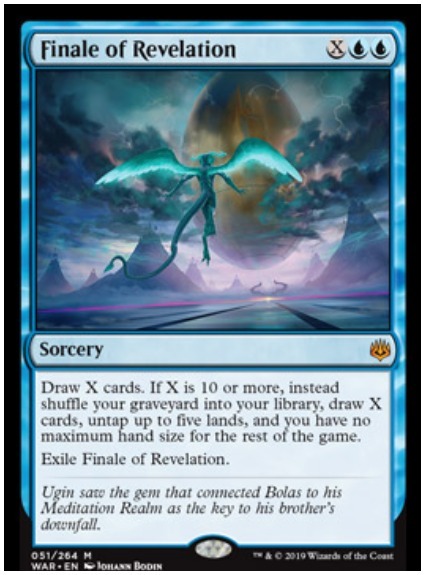 It’s not a win-condition card, but Finale of Revelation will see play in multiple Magic: The Gathering formats. In limited, its a bomb. Commander and Modern decks will also be splashing it in too. Finale of Revelation features more MTG stunning artwork (Johann Bodin) and a text revealing how the War of the Spark story might play out. 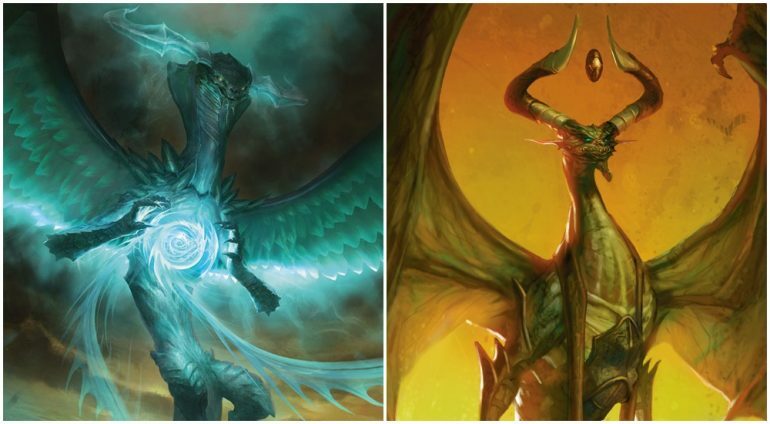 “Ugin (Bolas’ twin) saw the gem that connected Bolas to his meditation realm as the key to his brother’s downfall,” reads the flavor text. The gem mentioned is none other than the Gem of Becoming. Will Bolas transcend or get trapped in the meditation realm? The blue sorcery card Finale of Revelation will likely be part of a finale cycle, featuring cards in all five colors. MTG War of the Spark expansion will release early on MTG Arena, April 25.